NEST Result 2019 - The National Institute of Science Education and Research and Center for Excellence in Basic Sciences - University of Mumbai will release the NEST 2019 result online on June 17, 2019. The result of NEST 2019 will contain the list of candidates who appeared for the National Entrance Screening Test along with the marks secured. 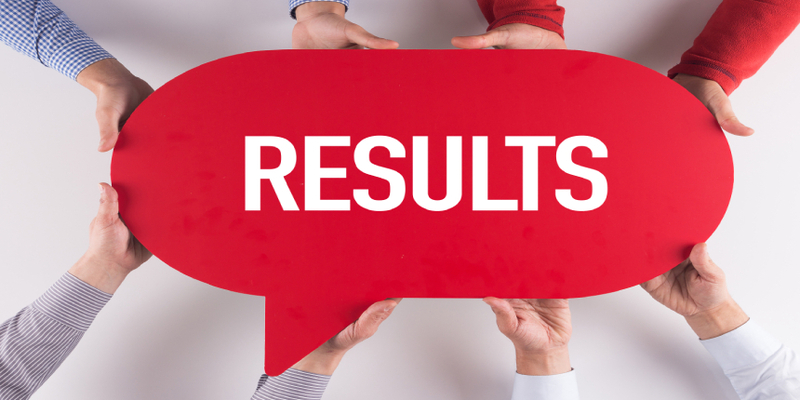 The NEST results 2019 will be available by logging in through NEST website. After the result of NEST 2019 is released the conducting body will prepare the NEST merit list 2019 which will contain the complete list of candidates who have qualified NEST 2019. The merit list will comprise of the names and application number of the candidates along with the marks score and the minimum marks at which candidates will be called for the NEST admission counselling process. Candidates attending the counselling process must make sure to submit all the document for the admission counselling procedure for NEST 2019. Read more to know the scoring and tie breaking rules for NEST 2019. The merit list will be prepared after the results of NEST 2019 is released. The merit list will contain the names of candidates who have qualified the entrance test and are eligible to attend the admission counselling procedure. The steps of preparation of the NEST 2019 merit list are given here. While preparing the NEST result 2019 the scores for the general section and the best of three scores from Section II to V will be taken into consideration. The total score of the candidate will be the sum of their score in the general section and best three scores in the subject section. In case of each section, 20 percent of the average of the best 100 scores in that section will be considered as Section–wise Minimum Admissible Score (SMAS). For example, if the average of the best 100 scores in Physics section is 40 out of 50, then SMAS for Physics section would be 40*0.20 = 8 marks. Candidate must score equal or more SMAS in the General section as well as in at least three subject sections. These sections will then be counted for merit list calculation. If a candidate secures SMAS in all four subject sections, then the best three subject scores will be counted. Candidates are also required to score equal to or above marks in Minimum Admissible Score (MAS), to get a merit rank. MAS for NEST 2019 will be 90 which is 50 percent of total marks which is 180. If total score of two or more candidates is equal the candidate with higher score in the general section will be given preference. In case the tie still persists, then the best scores in the subject section of the candidates would be compared. The student with the better score in any of the subject section would get considered in the list. In case the tie still persists, the candidate would be given same provisional rank at the time of declaration of the result and the tie would be broken by comparing class 12th marks and date of birth during admission/counselling process. Question. When will the university release the NEST 2019 result? Answer. The university will release the result on June 17, 2019 in an online mode. Question. What details will the merit list of NEST 2019 include? Answer. The NEST 2019 merit list will include the details like the list of candidates who appeared for the National Entrance Screening Test along with the marks secured. Question. What are the details that the NEST result 2019 will include? Answer. The result, which will be released online, will include the details like candidate's name, application number, candidate's category and the marks secured by the candidates. Question. Is there any chance that the university will send the NEST 2019 merit list via post/courrier? Answer. The university will not send the merit list/result of NEST through post/courrier. The candidates will have to check the same online via the link provided in this article.